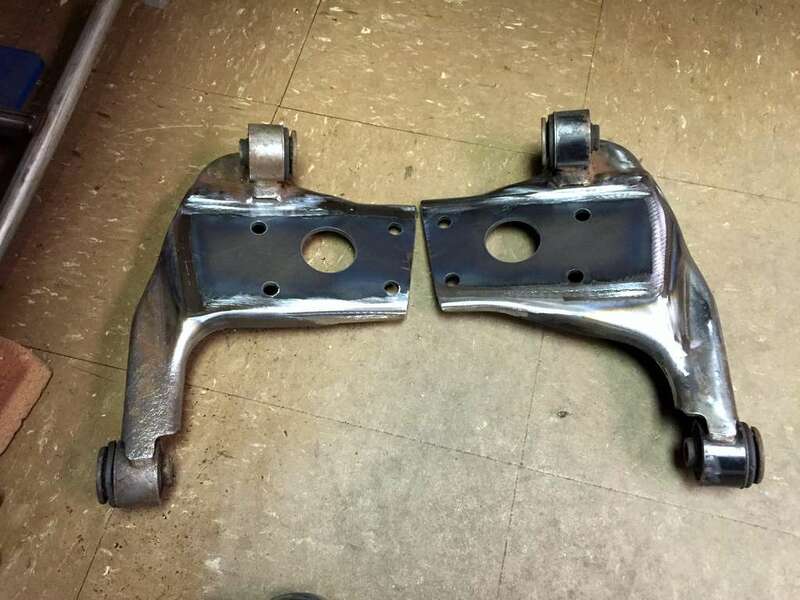 Thread: My Diff Drop Brackets! This is just the pic I got from the guy that did them for me. Will be getting them tomorrow & painting them. Nice!!! It looks like he did a great job. Did he grind down the beads on the inside where the axle flange will bolt on? That surface needs to be flat. You may also need a notch where the bracket rolls over on one of them. It's been too long since I did mine so I can't remember exactly where but IIRC, it's on the short axle side. There was a boss on the pumpkin that didn't clear the modified bracket. It's really not a big deal & you can take care of it with a small hand grinder during install ... but it will mess up your nice paint job so also have some touch up paint ready. SOTP guess would be 2" by the way it looks in the pic. BTW, what are you going to do about your crossmember? It won't fit after your diff drop. They are 2" drops. They are totally flat on the back side. he just cut the entire center section out clear to the top. Entered the dimensions into the CAD program & the computer controlled plasma cutter cut out new plates to put back in the open area (only 2" down). The holes aren't drilled, they were cut. Then he even extended the curved edge on the sides for strength & to make it look original. I know the cross member needs to be done also. It's next. I know the cross member needs to be done also. It's next. .... and weld in reinforcement . I'll crawl under mine and take pics if you want them. I probably won't get a chance to install these until next week. I think the cross member will be a piece of cake compared to these. I see from reading older posts that some people have had issues with the dust boots on the front driveshaft after the diff drop. 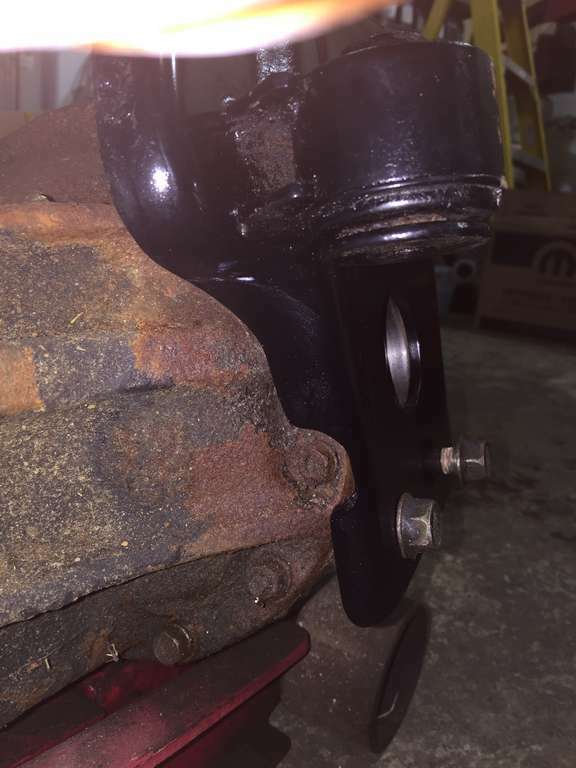 I don't think I've see anywhere that anyone has lower the transfer case mount an inch or so. Any reason why? That's a normal thing on Wranglers with lift kits. I would think that would help the driveshaft. Never had a problem with mine ... Marlin is just 'special' I rekin. Here's the back side of one of them. Will be painting them tonight so they look purty. 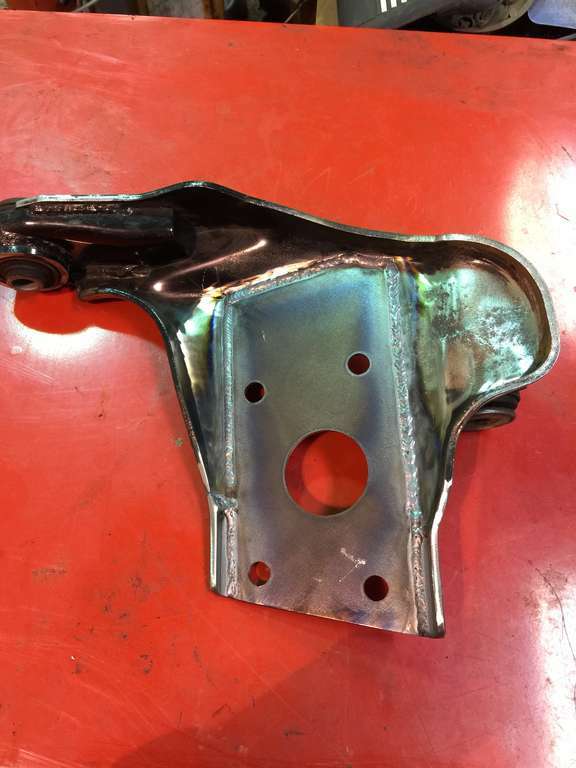 Jeep guys lower the T-case if they lift more than 3" (typically) & don't install an SYE kit. Otherwise, the slip yoke in the NP231 can bind & the driveshaft angle can become too steep. None of that comes into play with the 2" diff drop on a VX. The boot on the CV of the driveshaft may start to crack from the introduced angle after some time but throwing some grease on it now & duct taping over that may be all you need...? I would not lower the T-case - it already protrudes bad enough as is. It looks like the axle flange will clear the welding beads. Just remember to have a grinder handy during install in case you need to make some tweeks. & several pix of the installed brackets on page 19 of my gallery. Thanks for the heads up on the notch. I have a Trooper front diff sitting in the garage so I'll trial fit it to that before I do the brackets. IIRC, the Trooper uses the same brackets as the VX so that won't show you where the notch is needed since your brackets are modified. Best bet is to get a measurement off of your pumpkin & make a notch before you paint it. It looks like all that's needed is a half moon notch in the roll over portion of the bracket about 2" above the bottom mounting bolt on that side. I'd suggest oversizing that notch in case you ever need to remove that bolt (I didn't & will probably eventually regret it). You can tell by the pic that I learnt it the hard way & just don't want you to have to use the grinder whilst tucked up under the VX like I did ... not fun ... & painful (glowing metal shards tend to be rather hot). Thanks Tom for the heads up on the trimming! I think I will have time to do the cv boots & the diff drop brackets this weekend. This will definitely make it quicker!! !